On November 5, 1975 in response to a direct and urgent request from the government of Angola, the Cuba initiated Operation Carlota. Having just achieved independence after a long and brutal anti-colonial struggle, Angola confronted an invasion by racist South Africa. South Africa was determined to destroy the Black government of the newly independent Angola. Operation Carlota was decisive in not only stopping the South African drive to Luanda (the capital) but also in pushing the South Africans out of Angola. The defeat of the South African forces was a major development in the African anti-colonial struggle. Operation Carlota was named after the leader of a revolt against slavery that took place in Cuba on November 5, 1843. Operation Carlota, Cuba’s internationalist mission of solidarity with the Angolan and southern African peoples, was to last more than 15-years. During that time, more than 330,000 Cubans served in Angola. More than 2, 000 Cubans died defending Angolan independence and the freedom and right of self-determination of the peoples of southern Africa. 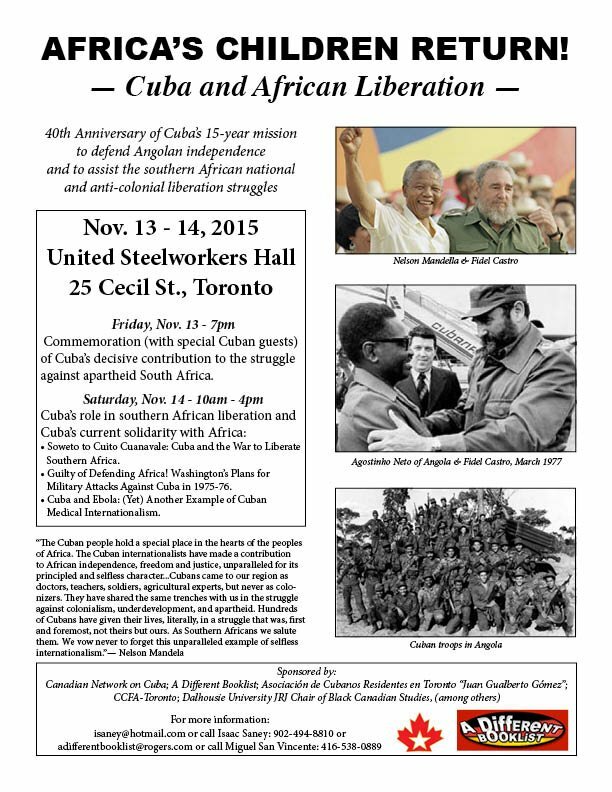 On November 13 and 14, 2015 we will commemorate the 40th anniversary of Cuba’s crucial role in the southern African national and anti-colonial liberation struggles, as well as, discuss and examine Cuba’s ongoing solidarity with Africa and Africans, and other peoples of the world. 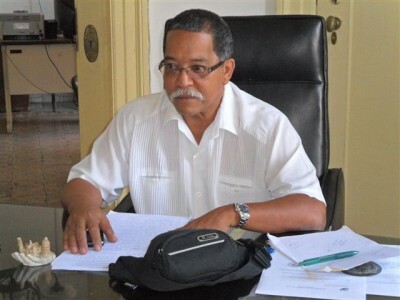 Sponsors include: Canadian Network On Cuba; A Different Booklist; Dalhousie JRJ Chair of Black; Asociación de Cubanos Residentes en Toronto “Juan Gualberto Gómez”; CCFA-Toronto.